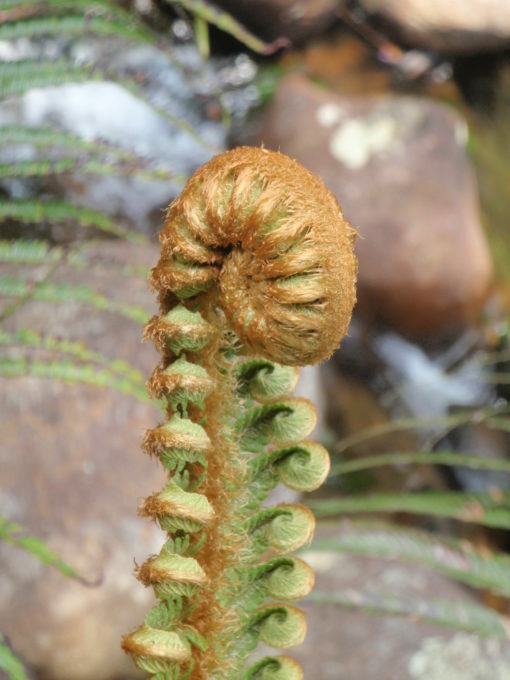 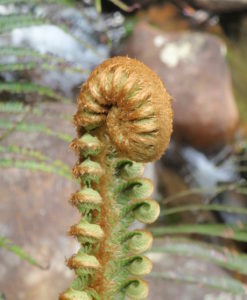 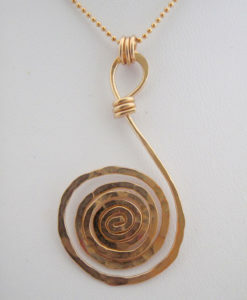 The spiral represents the fern capturing cosmic energy. 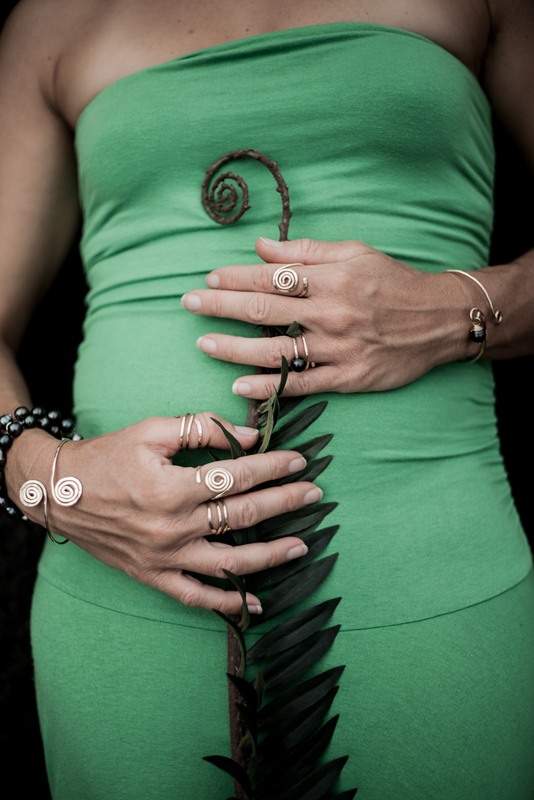 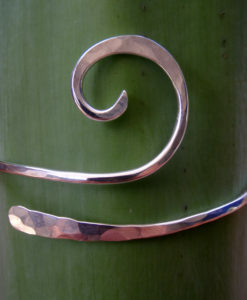 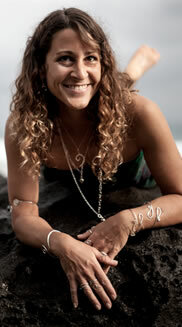 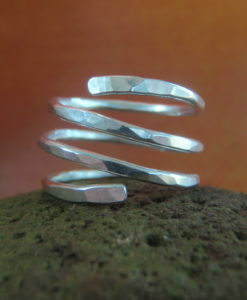 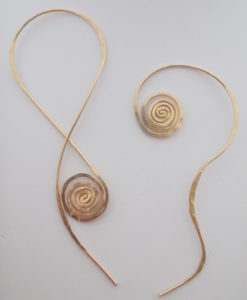 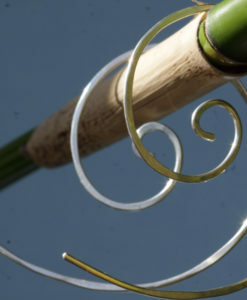 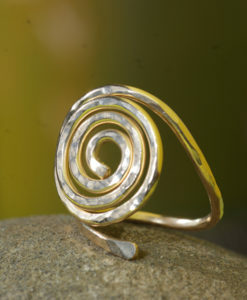 Hawaii Jewel Spiral Jewelry is inspired by this ancient symbol of growth, expansion and cosmic energy. 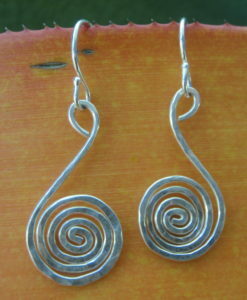 Hand hammered Argentium Silver spirals on half hoop earrings. 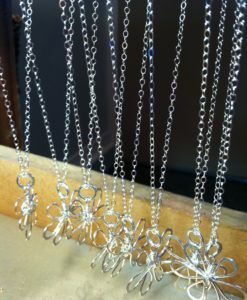 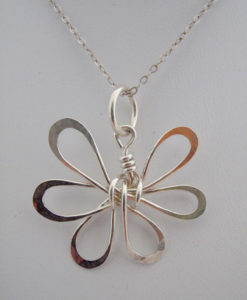 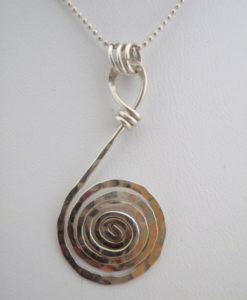 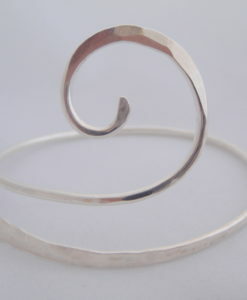 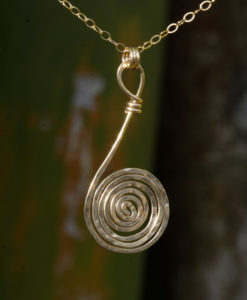 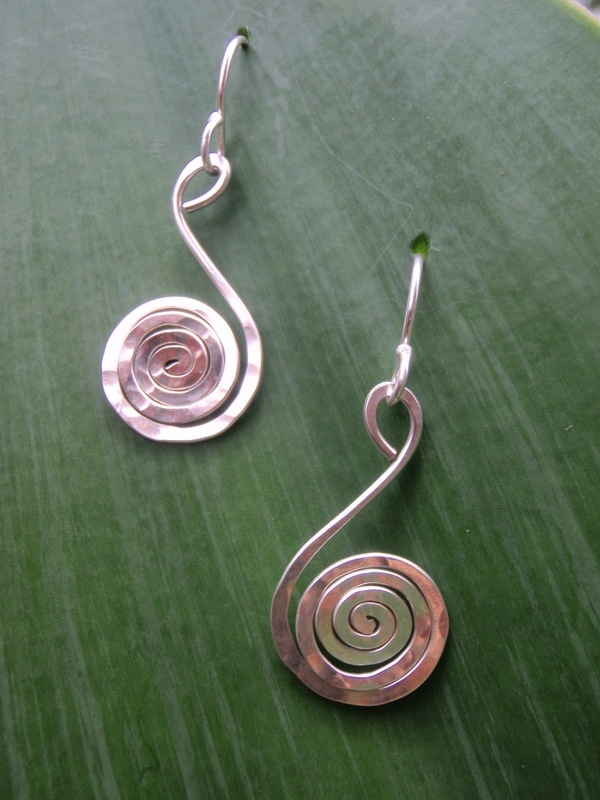 The Silver Spiral earrings wear beautifully with the spiral necklace and bracelet. 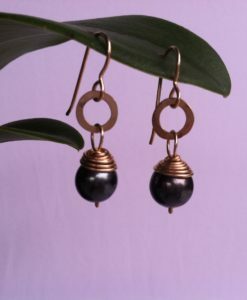 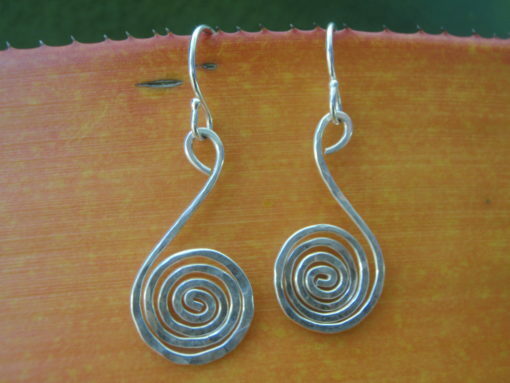 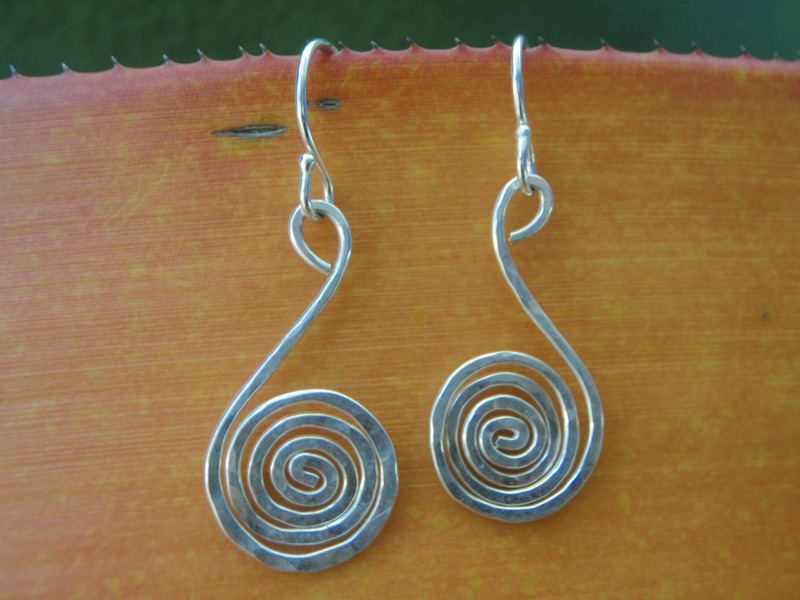 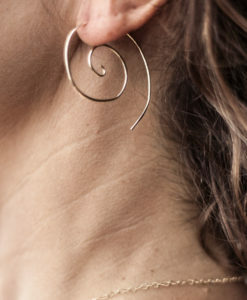 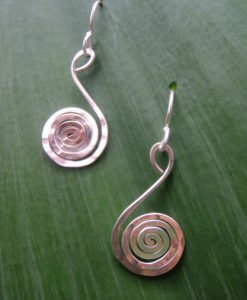 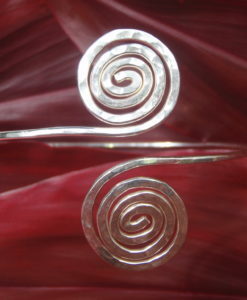 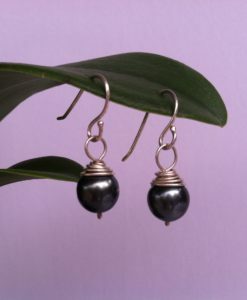 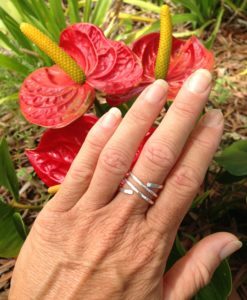 The Hand Made Enchanted Forest Silver Spiral Earrings makes an elegant Hawaiian gift for yourself or any occasion such as Valentine’s Day, Mother’s Day, Wedding, Anniversary or Birthday.